It’s almost grilling season. As much as I love steak and burgers, there are a lot of other grilling options. 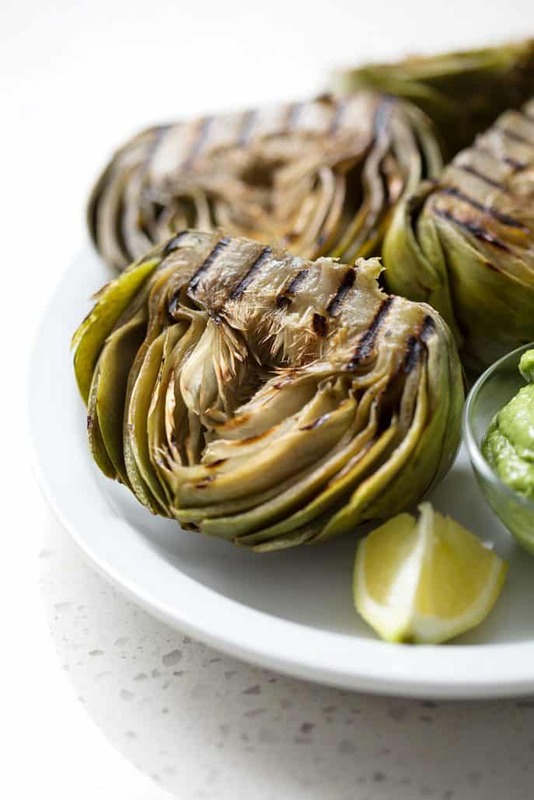 This Grilled Artichokes with Cilantro Avocado Dip takes artichokes to the next level. Grilling adds a smoky flavor that is delicious. 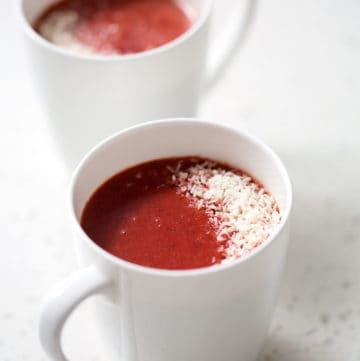 The dip is cooling and creamy. 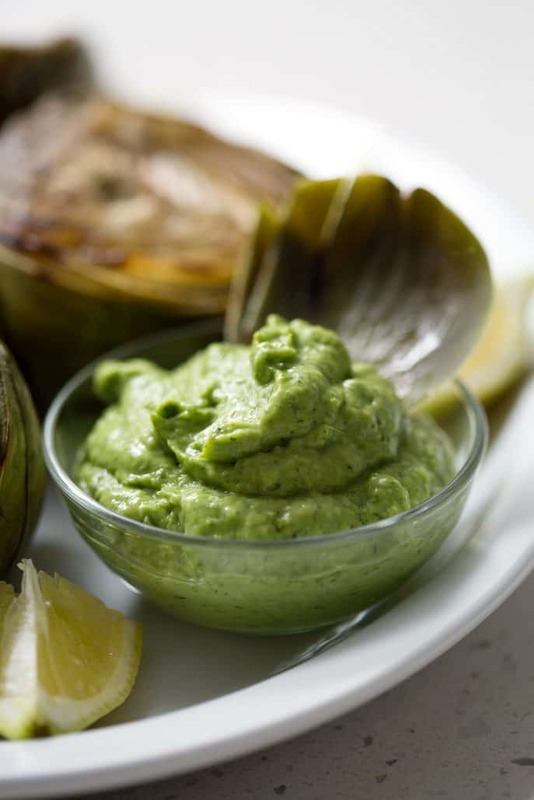 The dip is so good that it would go really well with grilled chicken or fish. When buying artichokes, the size doesn’t necessarily matter. However, the bigger the veggie, the bigger the heart, which means you get more ‘meat’ for less work. 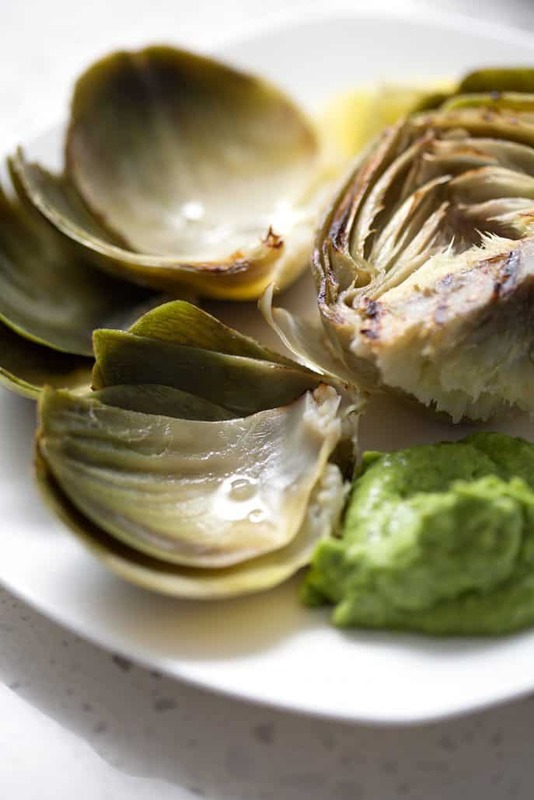 What’s more important is the freshness and seasonality of the artichoke. Artichokes that are in season taste the best and look even not bruised. 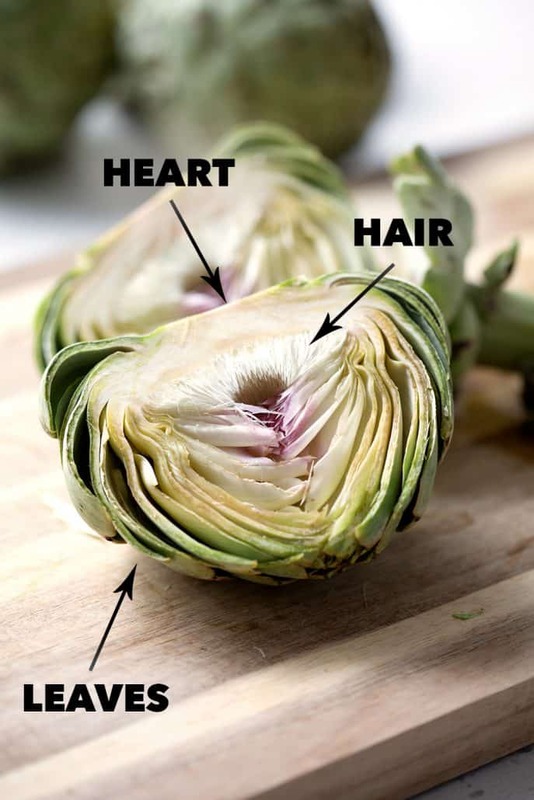 You should also look for artichokes that have tight leaves. If they are fanned open, then take a pass. 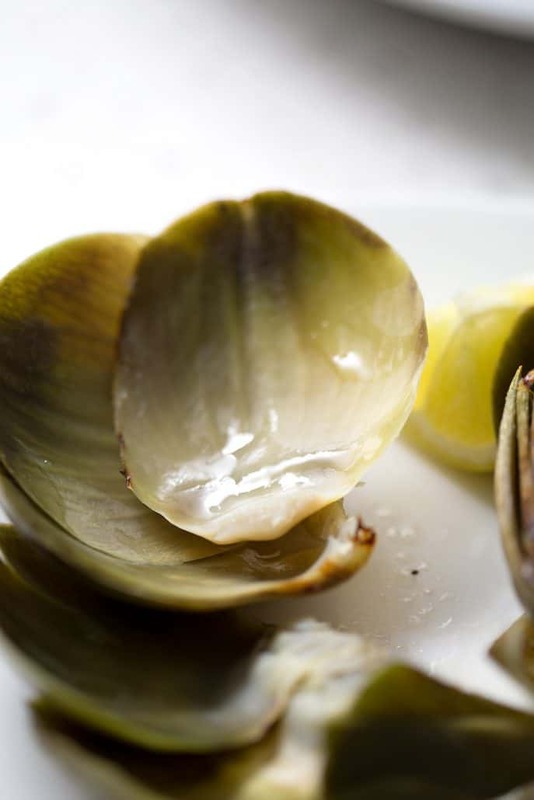 If you’ve never prepared artichokes, don’t be intimidated. I can walk you through it and it’s incredibly easy. 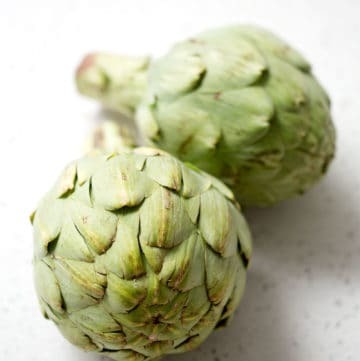 To prepare the artichokes for cooking, you’ll need to trim the stalk, if there is one. I usually cut right above the stalk where it meets the leaves. Don’t cut too much or you cut out the best stuff, the heart. Lastly, you’ll need to cut each artichoke in half from top to bottom. 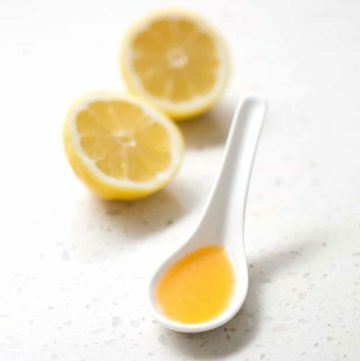 Make sure you are using a sharp knife. The leaves are tightly packed and can be difficult to cut. 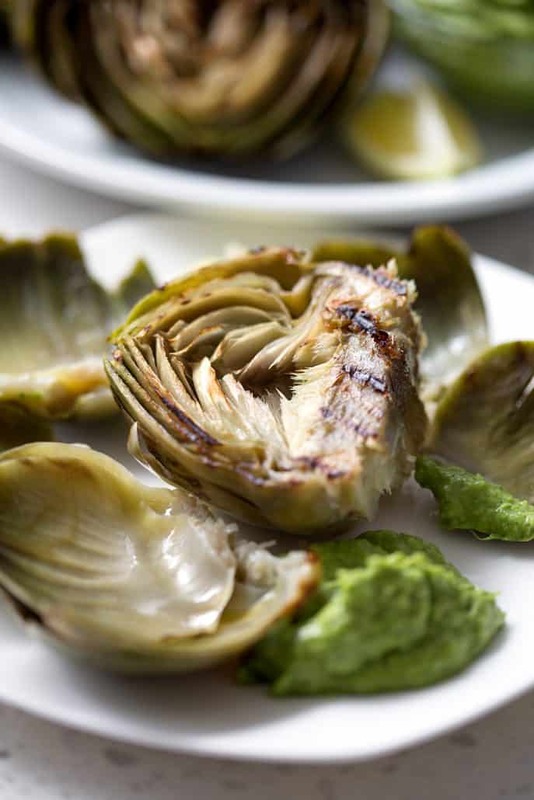 If you’ve never eaten artichokes, I can walk you through that one too. The leaves are tough except for the ends. The leaves actually get less tough the closer you get to the center. You only eat the ends of the leaves. You use your teeth to scrape the goodness from the leaf. The part of the leaf that you eat is generally lighter in color. 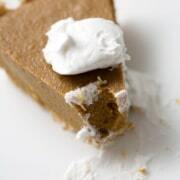 Once you eat the ends of the leaves, you’re left with a hairy hockey puck. Just joking. No one calls it that and it tastes way better than a hockey puck. It’s just called the heart. You’ll need to scrape the ‘hair’ off of the heart. Sometimes restaurants will do this for you however, if you’re making them yourself you’ll need to do it yourself. Don’t get lazy ad try to eat the hair. If you eat the hair, you’ll end up choking like a cat hacking on a hairball. The rest is totally edible and my favorite part. It’s super tender and delicious. 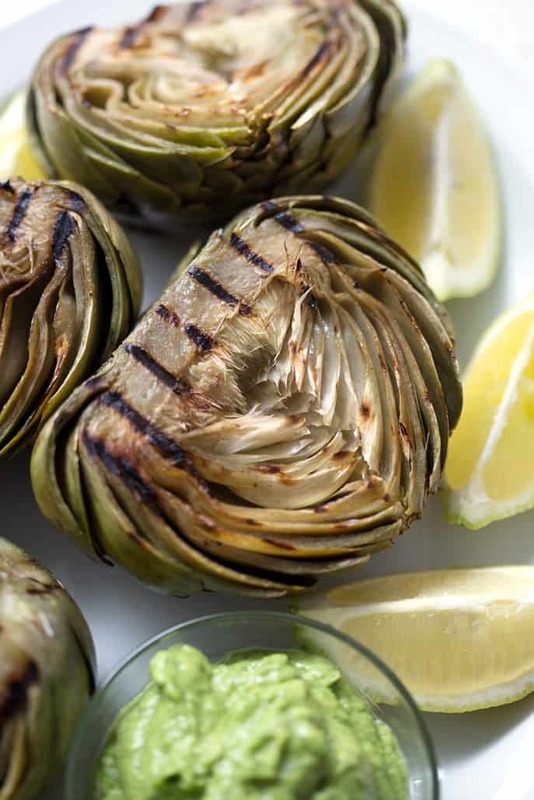 The artichoke season is short, so I urge you to get out and fire up your grills. If you’ve got any other questions about buying, preparing or eating artichokes, let me know. If you’re into eating with the seasons, I have a book called AIP by Season. 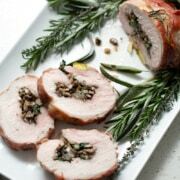 It’s filled with recipes that take advantage of all the produce that is popular throughout the year. 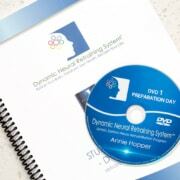 You can download it here! 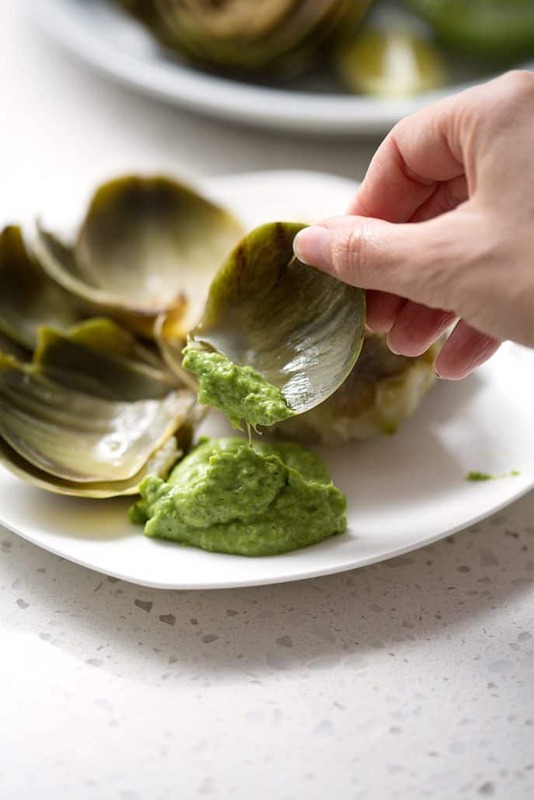 Grilled Artichokes with Cilantro Avocado Dip have a smoky flavor that’s only complemented by the creamy and cool dip that’s mainly made with coconut milk, avocado, and lemon. 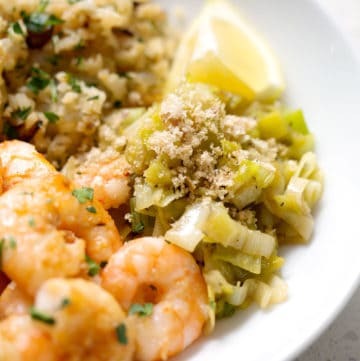 There’s tons of flavor in this side dish or appetizer and only 8 ingredients. 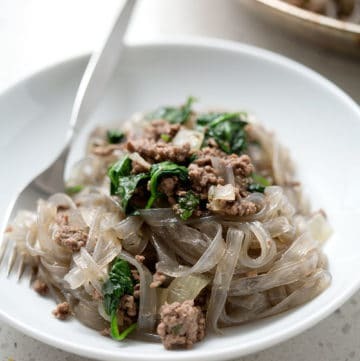 This recipe is allergy friendly (gluten, dairy, shellfish, nut, egg, and soy free) and suits the autoimmune protocol diet (AIP), vegan and paleo diets. 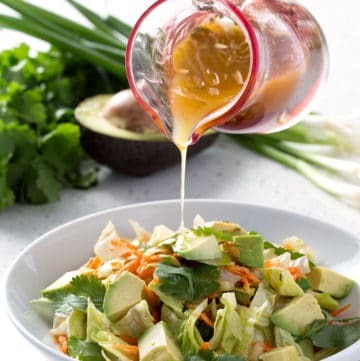 Add the lemon juice, zest, avocado, shallot, coconut milk, and cilantro to a blender. Cut in half the ends off the artichokes and then cut in half. Add the artichokes to the pot. 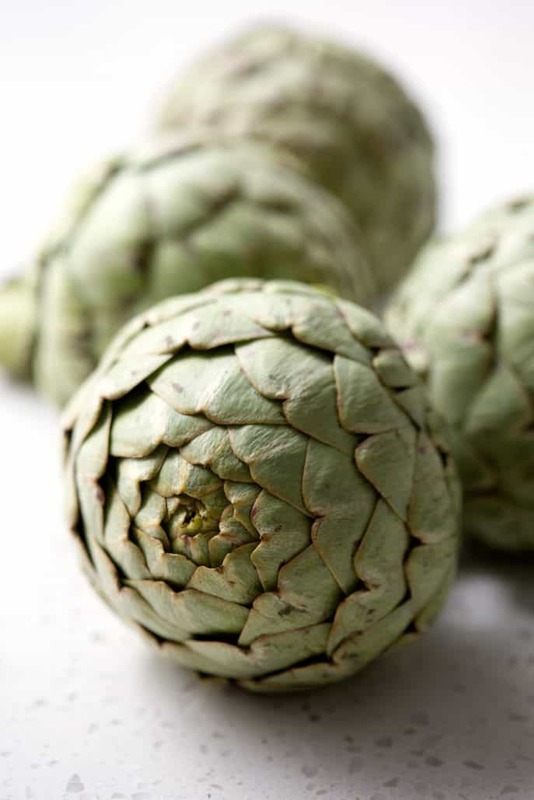 Cook for about 10-20 minutes depending upon the size of the artichokes. If you’re unsure, the outer leaves should come off relatively easily. This looks so good. Thanks for sharing!